At Union Pointe Eyecare we welcome patients of all ages to our comfortable optometry office. Our warm and trusted eye doctor provides personalized optical and medical eye care services to satisfy your family’s needs at any age, from pediatrics to geriatrics. Depending upon your age, lifestyle and overall health condition, vision care requirements change. 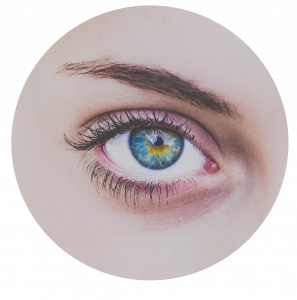 We become familiar with each individual patient in order to customize eye exams and treatment options. Our family eye care services include eye exams for kids and adults, low vision, vision correction and management of age-related eye disease. Located conveniently to serve local residents, we offer hours to suit every family’s schedule. Among the leading causes of low vision are heredity, eye injury or brain injury, or eye diseases such as glaucoma, macular degeneration, cataracts, diabetic retinopathy, or retinitis pigmentosa. Visual aids are devices that help people with low vision function by maximizing their remaining eyesight. This often involves the use of magnifiers (handheld, mounted or stand-alone), telescopes and other tools to enlarge the images of objects to make them more visible. The leading causes of low vision are eye injury, brain injury, and eye diseases such as glaucoma, macular degeneration and diabetic retinopathy.